The running industry is often caught up in a whirlwind of rumors; drugs in our sport, how running is “bad for your knees”, and that it is bad to run with your heel striking first. We cannot do much about the first one, that is up to the drug federations, and we will keep battling the out of date myth that running is bad for your knees, but we can show you that if you are a heel striker you do not need to adjust your running stride, nor do you need to stop being a heel striker IF you are not overstriding and your cadence is high enough. 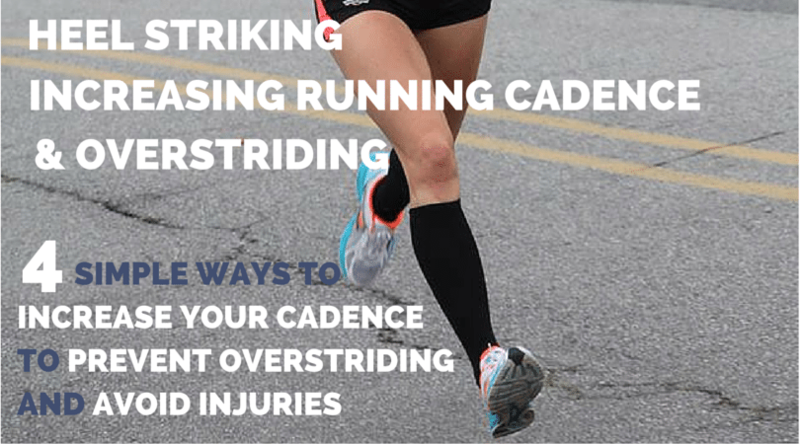 Today we are going to explain to you what is a heel strike and why heel striking is not as bad as you think, how to determine your ideal running cadence, and how to prevent overstriding, which is most likely the real reason you keep getting injured. This article comes with a warning though, you will have to be prepared to explain this over and over again to running friends who ask you about a heel strike vs. a forefoot strike. Ready to become the master? What Does a Running Stride Involve? In last week’s article, Introduction To Running Biomechanics, we took a look at the individual components that make up a single stride, collectively referred to as the Gait Cycle. Although running depends on whole body interaction, being aware of the individual components of the Gait Cycle can help you appreciate how slight modifications to your running form can have a knock on effect that can lead to overall improvement in performance and less susceptibility to injury. The key words in that sentence are your running form. Despite claims made by marketed running styles like Chi, Pose and Evolution, differences in our biological make-up strongly suggests that what works for one runner will not necessarily work for everybody. The fact that elite, world class runners possess different running styles strengthens the argument against a one-style-fits-all approach. However, there are some elements common to almost all successful running styles, and we are going to dive in deeper to those today. Is Landing with a Heel Strike Running Bad? Over the last couple of years, the rise in popularity for barefoot running and minimalistic shoes has fueled debate over what part of the foot should touch the ground first – the heel, the midfoot or the forefoot. In the excellent article “Is there an Ideal Footstrike for Runners?,” John Davis puts aside claims made by supporters and opponents of minimalistic footwear and instead takes a look at what scientific studies to date tell us about different footstrike styles. As you will see from his article, much of the data seems to contradict itself, advantages being uncovered only to later reveal disadvantages. What studies do suggest is that the issue is not so much what part of your foot touches the ground first, but how close that initial contact is to underneath your hips, i.e. your centre of mass. Does Running With a Heel Strike Cause Injuries? Over the last couple of years, the heel strike (also known as a rearfoot strike) has been increasingly labelled as the chief perpetrator of running injury. Consider the results of a study done by Pete Larson at the 2009 Manchester City Marathon. Using a high speed camera, Larson filmed runners at the 10km and 32km points of the race, and later classified them according to their foot strike. In light of these performance results, how can heel striking be regarded as inefficient? The answer could well be in what we saw earlier: running efficiency is not so much a question of what part of the foot touches the ground first, but how close initial contact is to underneath the hips, i.e. your centre of mass. A heel strike that lands close to the hips and on a bent knee causes no significant over-braking or over-loading to the knee. It is what coaches often refer to as a “glancing” or “proprioceptive” heel strike and should not be primary cause for concern or preoccupation. This is the heel-strike sometimes seen in elite athletes, a classic example being that of American long distance specialist Meb Keflezighi, silver medalist in the 2004 Olympics men’s marathon, winner of the 2013 Boston Marathon. If Meb can heel strike and get away with it, I think we can too! Remember to listen to the interview with Meb’s Coach, Bob Larsen for more insights into training with Meb. What is Overstriding and How Do I Know If I am Overstriding? In contrast to the above is the act of overstriding, where the foot comes into contact with the ground well ahead of the hips. More often than not with overstriding, it is the heel that strikes first but what is more important is the fact that, as seen in the photo below, the knee is straight and locked out. Overstriding is commonly associated with the creation of greater braking forces and excessive impact. Research has shown that a more extended knee contact angle can increase the forces experienced by the body and therefore increase injury potential. If you are overstriding, landing with your leg straight, knee locked out, you are sending a strong shockwave up your leg, which increases your risk of injury. From hamstring to achilles, and especially shin splints, overstriding is more likely to get you injured than any other aspect of your running form. Listen to this podcast episode with Max Prokopy of UVA Speed Clinic, who explains what overstriding can cause and how to stop overstriding (and getting injuries) with a few simple changes you can make during your runs. Runners who overstride take fewer steps per minute (at a given running speed) than runners who do not over-stride. In other words, they have a lower stride-rate. In the 2011 paper “Effects of step rate manipulation on joint mechanics during running”, researchers from the University of Wisconsin-Madison investigated whether they could reduce impact forces in runners by increasing their stride rate. 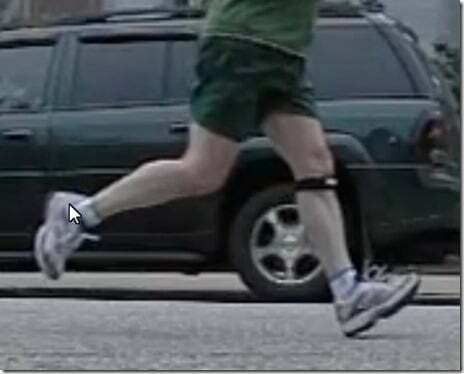 Subtle increases in step rate can substantially reduce the loading to the hip and knee joints during running and may prove beneficial in the prevention and treatment of common running-related injuries. How do Runners Increase Run Cadence? Another word for stride rate is cadence. It is measured in strides per minute (spm). You can easily determine your own cadence by counting the number of times your left foot hits the ground whilst running for 30 seconds. Let’s imagine yours was 40. Double that to get the total for 60 seconds (80); then double it again to get the total for both feet (160). Your cadence (for that particular running speed) is therefore 160spm. A cadence of less than 160spm is typically seen in runners who overstride. It is important that we make a distinction between jogging and running. Jogging (including warming up) is performed at a lower speed and is bound to involve a lower cadence. Though some one-size-fits-all running styles pitch an optimum cadence that should be maintained at all speeds, even elite athletes are seen to drop their cadence slightly for different running paces. Your height may also play a part in your stride rate, it may be limiting your stride frequency and max running cadence. Is there a best running cadence? Once again, you have to be careful what you read. As the subject of cadence has become more main-stream, so too has the emergence of the “magic” optimum stride-rate of 180spm. The reason for this is as follows: at the 1984 Olympics, famous running coach Jack Daniels counted the stride rates among elite distance runners. Of the 46 he studied, only one took less than 180spm (176spm). Daniels also noted that in his 20 years of coaching college students, he never had a beginner runner with a stride rate of over 180spm. Unfortunately, Daniels’ studies have been misquoted and as a result lead to all too frequent claims that everybody should be running at 180spm. These claims ignore the fact that Daniels noted stride rates of at least 180spm, not exactly 180spm. History clearly shows Haile Gebrselassie running 197spm en route to his world record time of 2:03:59 at the 2008 Berlin Marathon, and Abebe Bikila used a 217spm to become the first man to run a 2:12 marathon (2:12:13, Tokyo 1964). As was suggested at the beginning of this article, differences in our biological make-up means what works for one runner will not necessarily work for all. If you do one day become an elite distance runner (and we sincerely hope you do!) it is highly likely your race cadence will be over 180spm. However, and this is the important part, your journey to 180spm and beyond needs to be gradual. The average recreational runner has a cadence closer to 150-170 spm. How quickly you progress and in what direction your running form develops will be affected by factors unique to you – your height, hip mobility, level of general fitness, to name a few. The safest and most appropriate way to increase your cadence is in the University of Wisconsin-Madison paper we considered earlier: increase your cadence by 5% to 10% at a time. We dedicated an entire separate article to increasing your stride frequency and step length to improve your speed if you want to read about this in further detail, but here are the steps to gradually increase running cadence to prevent ending up injured. Using the counting your steps method described above, determine your current cadence for a speed you would use for a 5km+ race. Let’s imagine it is 160spm. Adding the 5% increase (10% could well be too much of a jump), your new target is 168spm. Start by adding short distances into your runs in which you try to maintain your new target. This can be done through use of a metronome (available from Amazon or downloadable as an app for your phone). Be careful as many of these gadgets still regard 180spm as the “magic” number and will only provide beats of 180spm+. Sites like JogTunes can be used to find music with beats per minute (bpm) to match your desired spm. Otherwise, you can always just monitor your progress with a 30-second one foot count (then multiply it by 4). Once you have can comfortably run your a 5km+ pace at your new stride per minute (without thinking about it – remember we are seeking unconscious competence), add another 5% and repeat the process. If you want to know how to improve your own running form and develop the most efficient stride for YOUR biomechanics, signup for our video gait analysis and online course that will identify flaws in your own form while providing you with a simple-to-follow, progressive set of exercises, drills and mental cues to help you make lasting changes to your form. Click Here to Get Yours Now! 1. Kerr BA, Beauchamp L et al: Footstrike patterns in distance running. In Nigg BM (Ed. ), Biomechanical Aspects of Sport Shoes and Playing Surfaces, University Press, Calgary, 1983, pp. 135-142. 2. Hasegawa H, Yamauchi T, Kraemer WJ: Foot strike patterns of runners at the 15-km point during an elite-level half marathon. J Strength Cond Res, 21:888-893, 2007. 3. Larson P, Higgins E et al: Foot strike patterns of recreational and sub-elite runners in a long-distance road race. J Sports Sciences, 29:1665-1673, 2011. 5. Heiderscheit BC, Chumanov ES, Michalski MP, Wille CM, Ryan MB. : Effects of step rate manipulation on joint mechanics during running. Med Sci Sports Exerc. 2011 Feb;43(2):296-302. doi: 10.1249/MSS.0b013e3181ebedf4. Excellent post – as one who has changed from the overstrider that he once was, this is great advice. Glad you enjoyed it Vybarr and great to hear it worked for you! Focusing on my cadence improved my times dramatically. I actually wrote a 20 minute training song which helped me break a sub 20 min 5k. Thanks, I’m loving this series. I am a total disciple of higher cadence running. I’ve just been running a few years (and just did my first Boston Marathon…what a year for that) and early on had both knee problems and plantar fasciitis. One of the things I worked on and changed was cadence, and now unconsciously usually do about around 176 and working to go higher. Since I’ve done that, I’ve been injury-free. I’ve done other things to improve my running form, so can’t claim that is all due to cadence. But I’m confident that it’s mostly due to it. And have indeed found that it rises with shorter races and lowers with longer race. Great article. Made me feel a lot better about my heel-strike. My cadence is consistently in the 180-190 range, but I still wear my shoes down at the heels. Now I don’t feel so badly. The thing that helped my cadence the most was purchasing a garmin footpod. Now my watch beeps at me if I allow it to get too low (160-170). I used to be a chronic over-strider, straight legs and knees when I landed. I read about 180spm two years back after I had knee surgery and I have seen a significant change in my ability to go longer without further injury. I now run twice a week barefoot on the treadmill and run mountain trails B2B in the weekends. The short stride and quicker cadence has made a huge difference! I (almost) totally agree with your heel strike and cadence propositions! I was a cliche bad heel striker and ran a lot… and ended up with constant severe back spasms… which stayed with me for my first 30 marathons. I love the fact that people like you are analyzing how to run, because when I started running people only talked about how to train. It obviously took me a long time and a lot of injuries to finally figure out that there must be something wrong with my form (not my back) that was causing my back spasms, so eventually I studied the fast runners I train with (sub-3:00… I’m a 3:20 guy) and found their heels hardly touched the ground, I later figured out cadence too… and then Born To Run came out and vindicated my thoughts! It only took me 30 marathons to figure it out but I haven’t had a single back spasm since! 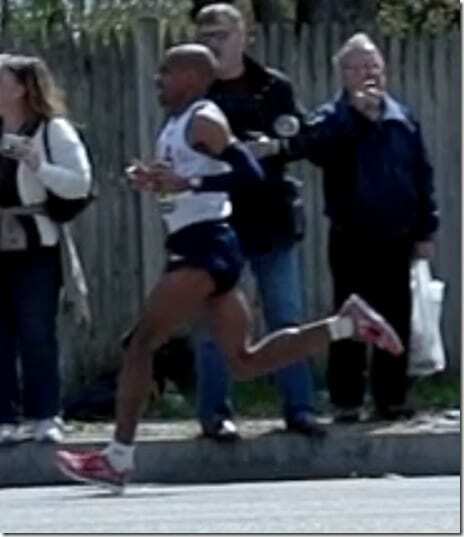 My point is that I am a huge fan of barefoot running FORM and high cadence… and although you are right that there are exceptions (like Meb), I think it is safe to tell almost any runner to stick to high cadence and minimal heel strike. PS. I just came across your website… and love the specific and technical analysis. General info is easy to come by for running… knowledgable, specific info is harder to find. thx. My son has just finished university (on a swimming scholarship) and is now ready to start getting into running and has signed up for his first marathon (Marine Corp)… I’ve pointed him to your website… I wish this knowledge was as widely available when I started running… it would have saved me a lot of injuries… and made me faster! Hey Rainy. Thanks for the comment. All changes tend to start off with a conscious effort, but as long as the change is not too much of a jump you should find that it manifests itself unconsciously. If this is not happening, try making the change a little less intense maybe? If you are not doing it already, try introducing shorter periods of increased cadence into your normal runs as opposed to trying to last a whole run. Let us know how it all goes! I find that I really have to concentrate on my running form if the goal is to maintain a higher spm rate. I guess that after a while it will become natural and if the benefit of this is less impact stress then I am all for it even though it forces me to run a good deal slower than I normally do. I guess that is because i had a relatively long stride length but at a much slower rate. Will I eventually get the speed back with this type of running? Are you increasing your cadence by just 5% at a time? Are you trying to maintain it every time you run or just occasionally, or for intervals? Do you enjoy running with music? I find the world of cadence training fascinating so let me know and we’ll continue from there! Changing my cadence has changed the way I run. Not only did the shin splints stop I also got considerably faster as a side effect. So much better than JogTunes or some other services. As someone who has returned to distance running after a 20+ year hiatus 3 years ago this is something I struggle with. Long story short, 3 years ago, overweight, I started with a C25K type plan, then gradually adding distance to my runs, dropping most of the weight across the first two years, and using a run/walk training method have completed several half marathons. I hit a plateau with weight loss & speed that I have, finally, in the last 3 months seemed to have broken through. Throughout this time (once I got passed the gasping fish stage of completing a mile) I’ve been working on my form &, after shortening my stride length a bit, I no longer seem to be plagued by nagging minor injuries. At this point, while I still have about 20 lbs to lose, my stride rate for my easy runs is right around 160 spm and my pace is between 13-13:30 mpm, depending on terrain & quantity of hills. I can easily maintain this pace & stride rate for 10 miles, but if I try to increase my stride rate beyond 160, my pace increases and I find I can’t sustain it over the same distance, making it no longer an “easy run” workout. How do I increase stride turn-over without also increasing speed? Or, because of my current fitness levels, should I just keep working on improving my my speed, strength & distance and see if my cadence increases along the way? Hey Kim. Thanks for sharing your experience with us. First of all, congrats on what you have achieved. Inspiration for many people out there who with an ever increasing time out of running are worried they will not be able to get back into it. Your perseverance shows it can be done and goals can be reached. Great work! With regards to your question, if you find increasing your cadence increases your pace then fantastic! Many runners struggle with a cadence increase initially causing a shortening of their stride that in effect causes their overall pace to stay the same or even decrease! Not being able to maintain the new pace is to be expected and is where different types of runs will help you, e.g. interval training, hill runs, etc, as well as conditioning exercises outside of running to help increase your work capacity. I think it’s important not to worry about cadence every run, just the same as its important not to be watching the clock every run. At the end of the day, all the modifications we make to form need to eventually occur without conscious effort whilst running. What you said at the end of your comment is very true. Focus on the other areas of your training as well and you will see your cadence naturally increase to a sustainable level. Hope this helps and let us know how you get on! I have been training for the Marine Corps Marathon this Fall and have also read Chirunning whenever i begin running again. As a former Marine, and an institution that trains a terrible running style, I suffered debilitating shin splints that became stress fractures. This summer I have been pushing myself for a higher cadence, and for the first time I feel no pain in my shins. So, I feel like I have been making good gains. Unfortunately, that pain seems to have traveled to my IT bands after about mile 3. I am not beginning to think I am over tightening my flutes and thighs to try and maintain that ‘magical’ cadence of 180 spm. Thanks for the article, I will reconsider my form more and try to increase gradually to hopefully reduce my new injury. Great article. My physical therapist mentioned today that I should check my cadence because my calves get sore only after my long, slowest runs. I’m training for my first marathon. I’m glad I found your article, and found after reviewing my Garmin data that my average cadence for all my slow runs in the last 2 months was about 155 spm. Now I know what to do to try to improve my running at the slow paces. i just started running for 2 weeks now and im experiencing pain on my left knee,i’ve observed that my heel touches first on the when running .is there any treatment on my knee and how to prevent from coming back. Thanks for the question! There are several possible reasons for the pain you are experiencing and it would be wrong off me to offer any advice without having looked at your individual case in full detail and assessed you. Much pain and/or injury is associated with doing too much, too soon, or for too long. As somebody new to running, it is easy to push the body (including the brain) more than what it is ready to handle. I know not if this is the case for you, but it is for many new runners who find themselves with a niggle (as opposed to a shooting pain). For niggles, resting a few days and then returning to the running at a lower intensity can see the niggle stay away, as long as frequency, duration and intensity of runs is progressed slowly whilst listening to your body for any signs of overtraining. If the pain does not go or is say over a 4 out of10 (on a scale where a 10 is the worst pain you have ever felt), see a sports therapist or sports physio. As always, if in any doubt get it checked out. Many pains in the knee are connected to something that is happening at the hip, and not the foot. Heel strikes have been given an unfair, ill informed reputation over the last few years. It’s not what part of the foot lands, it’s where the foot lands in relation to your centre of gravity, and at low speeds even that may be of less importance than we once regarded. So, if it’s a niggle, rest it, see if a reduced intensity of running makes it stay away. If it doesn’t, get it assessed properly and nip it in the bud by suitable strengthening and mobility work, as well as a proper warm up. 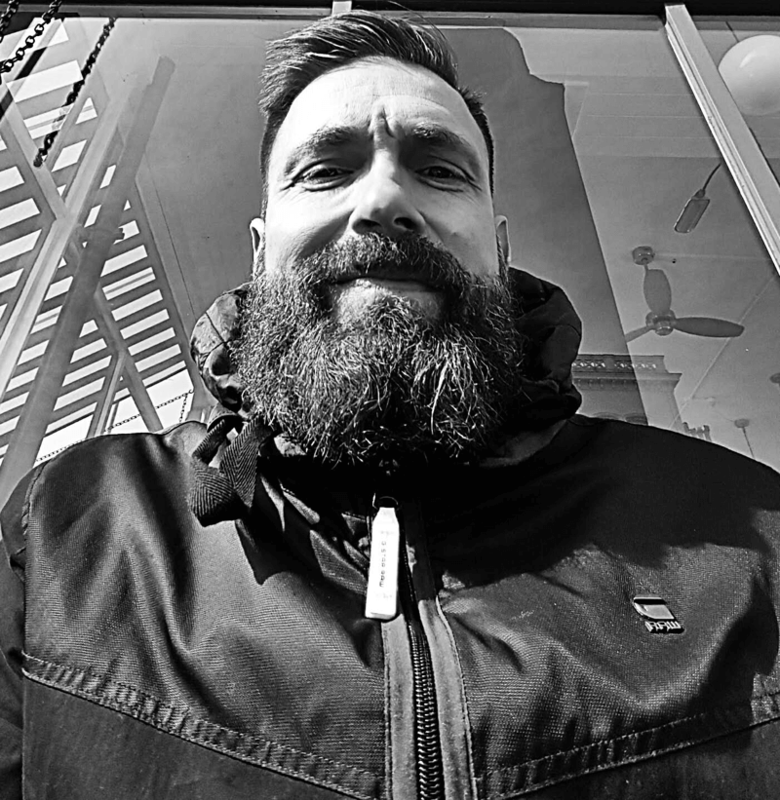 Dear Matt, I am a UK Athletics Coach in Running Fitness and I’ve started making good use of tips on efficient running gait from Runners Connect like a bible…..thank you! However, I used the cadence test with my running group on Sunday, and I realised I am confused about it, and need clarification…. We talked about the variables of speed, time and distance, and so then repeated the test also comparing the distance travelled in 30 seconds (compared to the first test). All the runners ran further in 30 seconds, so all were faster. That same runner has now run further over 30 seconds, but is still counting less steps? Is my understanding of this correct? Perhaps you may assist with an explanation that I can take back to the group? Hi Alison, great to hear you are finding practical use for what we share here on Runners Connect. If coaches like yourself are enjoying and employing the content, our goal of reaching out and helping as many runners as possible is made much easier, so thanks! For runners who have never played around with cadence training before, the process needs to be slow and subtle. Initially, the challenge for many is to improve neuromuscular coordination such that the legs are progressively able to turn over at a quicker rate. Actual speed may well reduce at first, as any conscious effort during running can reduce efficiency. Also, stride length does tend to shorten initially as runners take on a slightly higher cadence. The idea is that with time and practice, the brain gets used to the conscious change & can then return to the process of power generation, which will lead to an increase in stride length without losing any of the gained stride frequency. It is all very athlete specific, and changes will be subtle. When done successfully, most runners may not even realise they are unconsciously running at a higher cadence until they are tested say a month later. Remember, 5% increases only to an individual’s natural cadence at a medium pace, and make it only intermittent to give the runner a chance to effect the cadence change without having to think about it. Drills and ancillary exercises to increase the strength and mobility to allow and promote cadence increase are also advised. As with all form tweaking, it may not suit all runners, but of those I have worked with, both efficiency increases and injury decreases are common, so well worth a go! Thanks for your response Matt, thats makes sense, thanks! (But did you mean ‘Actual speed may well reduce our step rate at first?’, not ‘stagnate’ (puzzled)) – please confirm, thanks! I shall take back to the group. Not sure where “stagnate” came from… predictive text I imagine! I have been treating runners as a PT based on the research out of UW Madison as well and have used these principles in my own training. It’s hard to believe how effective it is. It definitely isn’t a panacea but it does mitigate a lot of biomechanical problems with a relatively small amount of work. Great post! So – for a 3:45 marathoner – is the goal to do the long runs (for me it’s typically a 5:40 /km pace, around a 9:00 mile) using the faster cadence? 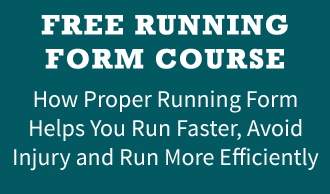 And generally – in the running formula – to go faster run longer strides vs faster cadence? Still, I can use some improving as I’m more on a 140 spm level on long runs.. Enjoying this site and its many articles and comments. I am 48 and run an average of 6.4 miles a day 6 days a week. I have recently started running with a metronome with the goal of reaching 180 bpm. I started at 170 bpm and worked on that for a month and am now working at 174 bpm and average a pace between 7:51-7:58 min/mile. I’ve noticed that moving up to 174 bpm has definitely had a physical wear impact on my legs. I’m hope to get used to the new rate over the following month then move to 176-178-and 180 over June July and August. I have yet to measure the impact of the cadence adjustment to heartrate. I’m happy with obtaining an under 8 minute pace consistently though. Good to hear you are enjoying the articles! It sounds like you are following a very sensible gradual increase in cadence and I am glad you are happy with your pace. Bear in mind that optimum cadence does vary depending on speed and the individual – it is useful to measure how much your modifications are actually helping your performance. Increasing cadence at the price of sacrificing running form may be counterproductive so it may be an idea to have a running coach or performance analyst take a look at your form if your efforts are resulting in ‘physical wear’. With some runners, modification to running form can be a more fruitful way of increasing cadence rather than just trying to keep up with the beat from a metronome. Food for thought maybe. Let us know how it goes and thanks again for the comments! I resolved to change my stride, I started focusing on landing my feet UNDER my hips and guess what happened? My pain went away, and my times got faster! Fast forward a couple years and my average spm keeps getting faster. I currently run at an average of 172 – 174 on most training runs, and it spikes to the 180’s for my races. When I first tried to run at 180 – I couldn’t run 1 mile at that cadence. Now I have to focus really hard to run slower. 1) Are there any studies Correlating cycling cadence with running cadence? I am a triathlete, and I have noticed that after a ride, my running cadence is higher. My average bike cadence is 105…so my theory is that my mind has the bike cadence “ticking” in my head, and so that correlates to faster cadence when I enter the run phase of my races. Many thanks for your comments, glad you enjoyed the article! As far as I am aware, research into the effect of cycling cadence on running cadence is as is so often the case contradictory in nature. There are studies in which an increase in cycle cadence has seen an increase in running cadence and better performance, but there are others that show a decrease in cycling cadence followed by no change at all in running cadence and a delay in the onset of fatigue. This may well highlight the argument that we can never expect what helps one athlete to automatically help another. Though you say your cadence climbs when you get tired, for others it decreases. Speed plays a big role in cadence but so does perception of speed. No magic numbers, as Faris Al-Sultan clearly shows! ha, so all the work I’ve done in trying to become a mid to forefoot runner may have been overkill? interesting. I ran across your site today after doing a little reading. When I was younger I was a fairly decent runner but developed some bad mechanics and as I aged I became a pretty sever over-strider. I have always had strong legs and hips so was able to pull it off and still run some pretty fair times. however, once I closed in on 40 I started having issues with calf pulls. The issue became pronounced as a cycle of off an on running as I injured myself and recovered. Recently after a pretty bad pull I decided to do something about it and read “Chi running”. I had the book laying around and thought it was as good a place to start as any. I pulled some thoughts from the book and began researching the running stride to see if I could find something I was doing that could easily be changed. In short, my knees were locked, my hips were turning, I was stretching way out in front, and my spm was under 150. This is at a 7:30 mile. Tonight I fired up the treadmill and at a fairly slow pace started to work up my spm. I got up to about 165 before I started to feel really awkward but did feel like my feet were just glancing off the ground with very little effort. It felt a lot like I was just trying to touch the ground with my foot then pick it right back up. Very different. I am going to work on this one thing over the next 30 days and see how it goes. If it works, it will be life altering for me to run consistently without injury. Hi Jason, thanks for the comment. Glad to hear you have seen a benefit from slightly increasing cadence. Increasing it by over 10% at a time may well be too much too soon so from 150 to 165 would be max jump. In my experience, calf issues are often connected to a lack of efficiency up in the hips, and if you were running a 7:30 mile with a cadence of under 150 that does sound very much like your form needed looking at, which is what you have done so good job! Let us know how it goes and thanks again for sharing! Interesting. I’ve never concerned myself too much with cadence as I have with simply shortening my stride. I’ve found that solid attention to proper form achieves the same results. Thanks for the comment! Totally agree with you. For many runners, increasing cadence comes naturally by tweaking running form, e.g. by shortening the lever arm of the leg during swing phase. Others find it easier the other way round, i.e. increasing cadence slightly to effect a natural change in running form. As a coach, it’s our job to embrace human variety and see what method best suits the athlete in front of us. Good point to make, thanks again! I have a question from the other side of the spectrum. Is it possible to have too high of a cadence. I naturally run at 180 spm on my easy runs. However, when I do speed intervals, I noticed that it goes up significantly. Yesterday I was doing 10 x 400’s at 3k pace (3:35/km) and finally got around to counting my cadence, which was 220+ spm. Is this inefficient and should I consciously try to increase my stride or just let what happens naturally happen. Hey Paul, thanks for leaving the comment – great question! It does make sense that for every speed there will come a point for each runner at which the increased energy cost of maintaining a certain cadence outweighs the benefits. I think it all depends on the power of the hip extension generated by the runner. Mo Farah for example is reported to run 3k at around 176spm (though he does increase to around 187 in final laps), so in his case the power he can generate from his hip drive outweighs the benefits of trying to maintain a high cadence. As for your ideal cadence? So many factors. A lot of runners end up sacrificing stride length in an attempt to keep stride frequency high, and given that speed = stride length × stride frequency, if you raise one but decrease the other you are gaining nothing if speed is your goal. In a race scenario, the goal seems to be to maintain whichever of the two you naturally excel at and then increase the other in the final laps without decreasing the original. This I imagine is something your coach will be able to evaluate when watching you. Realising we are all different and being prepared to make gradual changes to see what works best for our body is the best way forwards. Enjoy your journey of self discovery! I am wanting to refine my running screen. I was curious if you would be willing to help me out? We have an increasingly higher number of runners coming in and I want to make sure I am capturing the best data during my observation, video analysis and physical screen. Thank you sir. Great article! Kinda wish I would have read it a few months ago. I recently made the jump on the 180 stride rate band wagon. I was probably around 160-165 before, so it may have been too big of a gap. I have always been riddled with injuries, but since increasing my cadence and changing my form (mostly pulling my feet back underneath my hips) I’ve been able to run more times a week. I did experience some strange unilateral knee pain, but it went away with 10 days of rest and a cortisone shot. Don’t really think the cortisone did much though. The issue I’ve had is this, I was running easy days around 6:30-7 min/mi, which corresponded to VDOT values and kept my HR below 160. After increasing my cadence, the best I can do is 7:30 before my heart rate is over 160, and that is on a good day. I’m wondering if anyone else experienced this, maybe just new muscles and flexibility coming into play. I don’t like being slower, but I do like being able to be consistent. Thoughts? Hi James, thanks for the comments, always interesting to hear how others get on with cadence training! Conscious attempts to modify running form are often accompanied by an initial period of decreased efficiency. As you suggest, this may be reason for the changes you are witnessing in your heart rate training. I think this is an example of where guidelines like VDOT and HR should not always be held as set in stone as there are many factors that can affect them, as well as significant variances between individuals. As you also said, a move from 160-165spm straight up to 180spm is quite a jump. I often recommend 5% increases as opposed to 10% as otherwise the change in form needed to produce such a change can also be too dramatic and not subtle enough to allow it to become natural and therefore efficient. Also, maybe play around with cadence at a slower pace. 6’30-7 min miles may be too fast for your brain to adopt running form changes, especially if you were previously managing that sort of pace at 160spm. An overworking brain may well behind the modified HR patterns! Hope this helps. Let us know how things go! I was a classic over strider/heel striker during my brief running career. I didn’t get injured very much, but I didn’t perform to my best unless I was running with a mid foot strike. I noticed in past racing photos that when I was tired it became a struggle to keep the pace and therefore over striding occurred. But in my great races I was landing perfectly mid foot and my body from waist up was vertical with no lean at all. So the more tired some people are the more they seem to heel strike and over stride, especially in races. In training I try to get people to fight the urge to heel trike and lean forward. The more you practice good form the easier it comes to you in races. Hi Ed! Thanks for the comments,very interesting. Bear in mind that it is possible to overstride with a mid/forefoot strike. The majority of distance runners heel strike but they are not necessarily overstriding. It may just be the most efficient way for them to run at that time. Peter Larson has done a few studies of distance runners showing over 90% are heel strikers, stressing that there are many types of heelstrike, most of which are inoffensive and not a precursor to injury or inefficiency. It’s the landing distance from the hips that seems to be the important factor (at certain speeds), not what part of the foot lands first. In my experience. focussing on what’s happening further up the chain leads 9 times out of 10 to foot mechanics sorting itself out. Thanks again for sharing your/your runners’ experience. Happy Running! Hi there, I’ve been reading with interest about increasing cadence. I have a long standing posterior tibialis tendinopathy which has kept me off running until recently. Do you think a higher cadence might prevent recurrence of this type of injury? So fitting that I find this great article in 2015. I’m 66 now and have found a new lease on my running life with some adjustments. I slowly changed from heal striking to mid-foot. At the same time I slowly increased my cadence, albeit with a shorter stride initially. The result was no back, hip or knee pain. More importantly, running just felt better. Recently, the stride length as returned and I’m running comfortably at faster times. Who said an old dog cannot learn a new trick or two. That’s great Bill, thanks for sharing with us! Keep up the good work! Great stuff Bill! Good to hear! I’ve been running 180bpm since I read this article. I list to audiobooks so I just modified it to have a 180bpm tick sound. It felt pretty natural. I was shocked when I arrived at my home a minute short of my personal best, but without feeling sore and winded. I’m on my third day running at 180 bpm and I am struggling to take my day off because I’m not sore and still hitting good speeds. Hi Kurtis, thank you for reaching out. What a great idea with the audiobooks. That is very clever, and will make sure you stay on track without forcing it. Sounds like it is working for you, and keep listening to that body of yours! Let us know if we can help with anything else! I have only been running about 18 months. When i started I used to bounce like a gazelle, my cadence was about 120, Not kidding. Doing research a few months into my running i knew i needed to increase cadence.I’m not into gradually changing a habit, somewhere i learnt it takes 10,000 repetitions to form a new habit so bugger going through that process multiple times! I went straight to working on the 180- step rate. I felt like I was running madly and getting nowhere, I found I had no choice but to run really slowly at the mad rate otherwise i’d stretch the stride out and slow the cadence. I felt really silly going flat out but barely covering distance.But I increased the cadence withing a few weeks doing this. haven’t monitored it for 12 months or so and noticed recently it’s around 160-170. So i’m working to get 180 plus.It’s only taken 2 weeks of persistence and i’m now doing it easily and only drop off when i get tired. My experience of going straight to 180 cadence has been positive, although I guess I’ve done it in 2 steps. You do feel like a spaz going flat out with the legs but only doing a walking pace but it pays off quickly. i’d rather be a spaz for a few weeks than try to establish a new habit several times over a year. I have a music program that I can edit the BPM of music so all of my music has been sped up to help me when i first tried increasing the bpm. having said all that I don’t have a day job so I have been putting a lot of time and work also into getting strong along with running, because there really isn’t any shortcuts. i don’t recommend going for broke without setting the body up for it (building solid foundations) first. Hi Karen, thanks for your message, that is definitely a great message for other runners, and although we would not recommend jumping into it as quickly as you did, it is great that you have seen results so quickly. You are right that is is very important to build those foundations first and prepare your body for a change, that is what we like to do at runners connect, and we like to make sure people stay healthy. Thanks for sharing your story, best of luck! I’m also a huge fan of higher cadence. I changed to a higher cadence pretty much all at once. I was probably in the 150’s or low 160’s and I increased all the way into the 170s-180s basically overnight. It never caused me any injury. It did feel very strange at first but after a month or so, I felt totally normal. I always used to have aches and pains and injuries. I have been running completely pain free for months now. I feel that this has revolutionized my running more than anything else that I have tried. I used to be a major heel striker but I am now a midfoot striker. Thanks for sharing Derek! Great job with your changes, and happy to hear you are now pain free. You will enjoy this podcast episode with Brad Beer, he talks a lot about this https://runnersconnect.net/rc80 Best of luck with your training! Good stuff here. I’m a 46 year old runner who ran competitively in college during the 90’s. We didn’t touch this kind of stuff in our training efforts. It would have been so helpful to me. I didn’t suffer a lot of injuries when I was younger. However, my overstriding and poor cadence has caught up with me via age! I have been working with a physical trainer over the past few months to overcome some knee issues. He pushed me to test my cadence and increase it as well as shorten my stride. I’m happy to say it works. I successfully completed two half marathons in a one week span with NO knee pain. My cadence was 178 spm as opposed to 158 when I started focusing on cadence three months ago. It makes a difference.